Fastpacking, run-camping; it’s so new its terminology has yet to properly evolve. Whatever you call it, its philosophy of pushing hard to achieve a goal - whether it be a day-long summit push, or multi-day missions - runs through the bones of these packs. Durable yet light with a sleek, minimalist silhouette belying a set of intuitive features, the new range of Traiblazer packs are designed to increase efficiency when operating in mountainous environments. With a focus on lightweight performance for self-sustained, fast-paced trails in the mountains, the Trailblazers will redefine your ultra-light mountain adventures, whatever gets thrown at you. Matt Kemp, Product Manager for Equipment, said: “The Trailblazer packs were born out of a recognition that there is a change in how people are approaching outdoor activities. There is a rapidly growing movement that is goal orientated, time focused and hard hitting. We are not necessarily talking running, just moving fast paced in the mountains, achieving your goal within a shortened timeframe. The innovative Montane Covalent harness delivers a customisable, body-hugging fit without restricting movement. 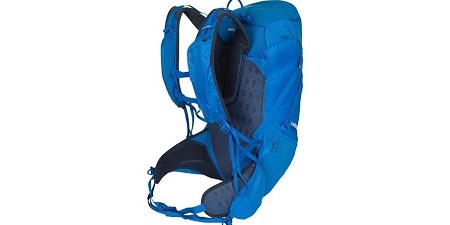 Influences from our VIA Trail Series of packs can be seen in features such as a chest click-and-go strap, and high mounted harness pockets bely the ranges’ propensity for dynamic and unrestricted movement. Available in three volumes; 18, 30 & 44L with ample storage capacity and a multitude of pockets, they offer easy access to hydration, food and essential kit while on the move. With its intuitive design and balance of dynamic and passive technologies, there is little wonder it was shortlisted for an Outdoor Friedrichshafen Design award.